The Kill Zone is the home of 11 top suspense writers and publishing professionals. We cover the publishing biz, marketing how-to’s, and the craft of writing. Each day, we’ll open the doorway into the world of the working writer. Please see our Community Guidelines below for standards related to blog posts and public comments. Sue Coletta is a Member of Mystery Writers of America, Sisters in Crime, and International Thriller Writers. She is the bestselling author of the Grafton County Series (Tirgearr Publishing) and Mayhem Series (Crossroad Press), which won the 2016 Best Mystery/Thriller/Heist Award and 2017 Readers’ Choice Award in Mystery/Thriller. Sue also writes in the Kindle Worlds, where she hit #1 in Mystery, Thrillers & Suspense. Sue’s short stories and flash fiction have appeared in Out of the Gutter Flash Fiction Offensive magazine and numerous anthologies, and her forensic articles have appeared in InSinC Quarterly. In 2017 & 2018, her Murder Blog won Feedspot’s Top 50 Crime Blog Award. She’s also the communications manager for Forensic Science and the Serial Killer Project, both groups founded by cold case expert, Detective Sergeant (Ret.) Joe Giacalone, and she co-hosts the radio show “Partners in Crime” with Homicide Detective (Ret.) Kimberly McGath on Writestream Radio Network. As a way to help fellow crime writers, Sue created a team of crime experts (detectives, coroners, police captains, etc.) and founded #ACrimeChat on Twitter. Sue lives in northern New Hampshire with her husband/best friend. When she’s not writing, you might catch her feeding circus peanuts to her beloved pet crows, who live free. 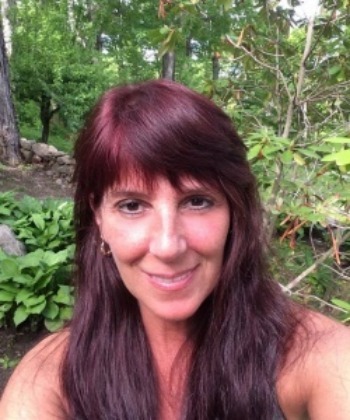 Connect with Sue Twitter @SueColetta1, Facebook, Pinterest, Google+, Goodreads, BookBub, Amazon, Website/Murder Blog, and catch her new video series, Serial Killer Corner on You Tube. 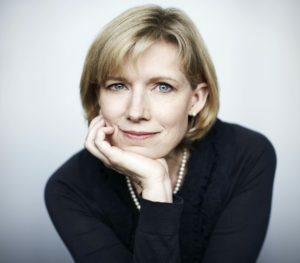 Laura Benedict is the author of six novels of dark suspense, including the Bliss House gothic novels: Bliss House, Charlotte’s Story (Booklist starred review), and the forthcoming The Abandoned Heart. Her other novels are Devil’s Oven, an Appalachian Frankenstein story, Calling Mr. Lonely Hearts and Isabella Moon. Her short fiction has appeared in Ellery Queen’s Mystery Magazine, PANK, on NPR, and in numerous anthologies like Thrillers: 100 Must-Reads, The Lineup: 20 Provocative Women Writers, and St. Louis Noir. A native of Cincinnati, Ohio, she grew up in Louisville, Kentucky and claims both as hometowns. She currently lives with her family in the southern wilds of a Midwestern state, surrounded by bobcats, coyotes, and other less picturesque predators. Get to know Laura better at laurabenedict.com, on Facebook, Twitter, and Instagram. Fire and Ashes is the second novel in Elaine Viets’ Angela Richman, Death Investigator forensic series. Elaine has written 32 novels in four series. The bestselling Dead-End Job mysteries feature South Florida private detectives Helen Hawthorne and her husband, Phil Sagemont. Elaine’s also written the cozy Josie Marcus, Mystery Shopper mystery series and the dark Francesca Vierling mysteries. The Angela Richman, Death Investigator series returns the prolific author to her hard-boiled roots. Brain Storm draws on her personal experiences as a stroke survivor, as well as her studies in the Medicolegal Death Investigators Training Course at Saint Louis University’s School of Medicine. Elaine has served on the national boards of the Mystery Writers of America and Sisters in Crime. 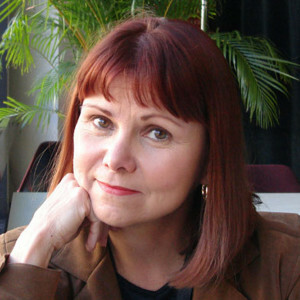 She’s a frequent contributor to Alfred Hitchcock Mystery Magazine as well as anthologies edited by Charlaine Harris and Lawrence Block. Viets has won the Anthony, Agatha, and Lefty Awards. 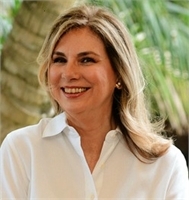 The Fort Lauderdale writer won the Anthony, Agatha, and Lefty Awards. She is director at large and national secretary of the Mystery Writers of America. Connect with her at http://www.elaineviets.com on Facebook at ElaineVietsMysteryWriter, and @evmysterywriter on Twitter. From the time Debbie Burke first saw Montana’s 564 foot high Hungry Horse Dam, she wanted to fling someone off it…fictionally, that is. She finally found the opportunity in her thriller Instrument of the Devil, which became an Amazon bestseller in women’s adventure after winning the Zebulon Award and the Kindle Scout competition. Book two in the series, Stalking Midas, will be published in 2018. Thirty years ago, Debbie and her husband moved from San Diego to Montana where one can’t swing a typewriter without hitting an author. There, she immersed herself in the local literary scene, studying with the late great James Crumley. She helped found the Authors of the Flathead and has worked on the well-respected Flathead River Writers Conference for decades. Her articles have appeared in national and international print publications, as well as online. She has been a freelance editor, magazine columnist, writing contest judge, and mentor to young writers. Joe Hartlaub is an attorney, author, reviewer, and actor. He practices intellectual property law in the areas of literature, music, and film. 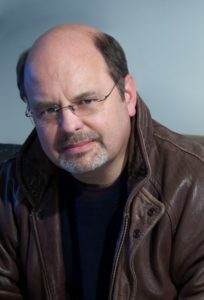 Joe has had his short stories published in several anthologies and his work has been translated into several languages. He had a featured roll in the film drama LA-308 and co-starred in the short film “Seducing the Shrink.” Joe is also the senior writer/reviewer for bookreporter.com, where he has reviewed mystery and thriller novels for almost eighteen years. He lives with his wife Lisa and family in Westerville, Ohio. Mark Alpert, a contributing editor at Scientific American, writes thrillers that weave real science and technologies into the story. His first novel, Final Theory (Touchstone/Simon & Schuster, 2008), was published in 23 languages and became an international bestseller. His next three science thrillers were The Omega Theory (Touchstone, 2011), Extinction (Thomas Dunne Books/St. Martin’s Press, 2013) and The Furies (Thomas Dunne, 2014). James Scott Bell is an International Thriller Writers Award winner, and author of the #1 bestseller for writers, Plot & Structure. His bestselling thrillers include Romeo’s Rules, Romeo’s Way, Romeo’s Hammer, Don’t Leave Me, and the Ty Buchanan legals thriller series that begins with Try Dying. He served as the fiction columnist for Writer’s Digest magazine and has written highly popular craft books including: Write Your Novel From the Middle, The Art of War for Writers and Super Structure. Jim has taught writing at Pepperdine University and at numerous writers conferences in the United States, Canada, Great Britain, Australia, New Zealand and London. He attended the University of California, Santa Barbara where he studied writing with Raymond Carver, and graduated with honors from the University of Southern California Law Center. He lives and writes in Los Angeles. You can be the first to know about his new releases by going HERE.